For most of the first five games of the season, Kansas defensive tackle Daniel Wise’s contributions came more schematically than statistically. 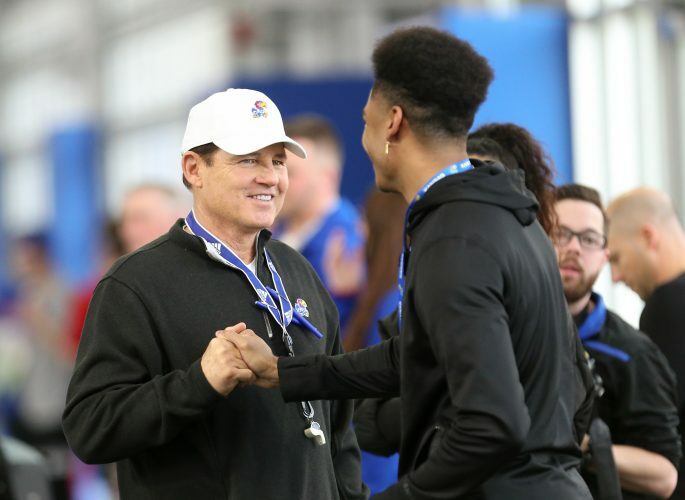 In the days leading up to the Jayhawks’ Oct. 6 football game at West Virginia, conversations his coaches and teammates had regarding Wise during media interviews centered on his value as a defender who demands double teams. 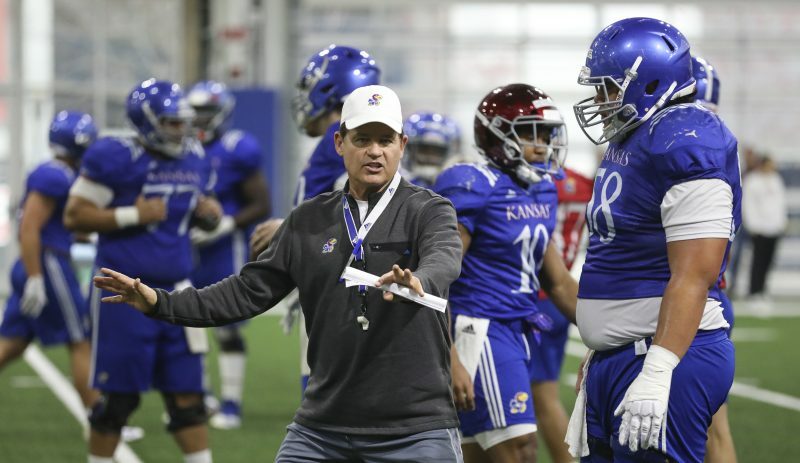 Head coach David Beaty even agreed with a comparison drawn between Wise’s play and that of Dorance Armstrong Jr., in 2017, when the then-KU defensive end wasn’t producing the sacks and tackles for loss many expected. According to Beaty, it was during that same week of WVU preparation that the coach let Wise know the Jayhawks needed more. In KU’s first five games the defense only delivered five sacks. Thanks to Wise and his fellow defensive linemen, the Jayhawks were able to add five more to double their season total in a loss at WVU. 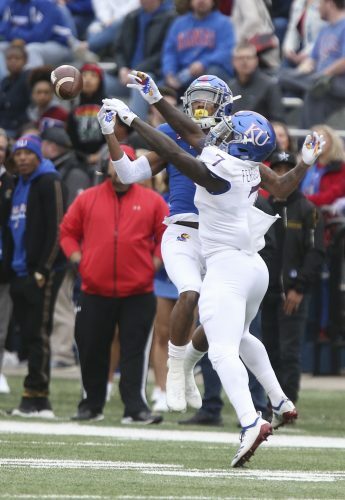 Before Wise took down Grier, Brian Lipscomb sacked the QB in the first quarter, and Kyron Johnson strip-sacked him in the third, allowing J.J. Holmes to recover a fumble for KU. Later in the fourth, Joe Dineen sacked Grier, as well. The sacks felt long overdue for Wise, who entered the road loss with only one sack on the year. 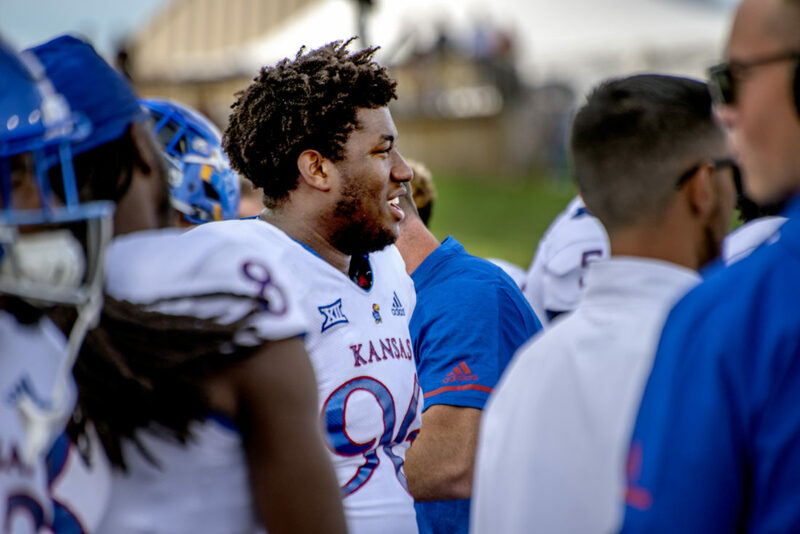 Beaty had challenged Wise to pressure Grier, the defensive lineman said, by “constantly” bringing up how Grier was “supposed to be the best quarterback” in the Big 12 and the KU defense needed to make him prove it. 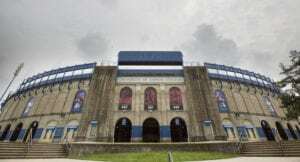 Although the Jayhawks’ defenders disrupted Grier often, intercepting three passes to go with their five sacks and two pass breakups, the redshirt senior QB still threw for 332 yards and four touchdowns and led his team to a 38-22 victory, so the Jayhawks’ success was relative. Nonetheless, Wise said he and fellow defenders were able to enter the team’s bye week with at least a minute level of satisfaction after the defensive line and secondary complemented each other well on the road at WVU, with not only QB pressures that led to off-target passes but also some instances of the pass coverage leaving Grier with few options. 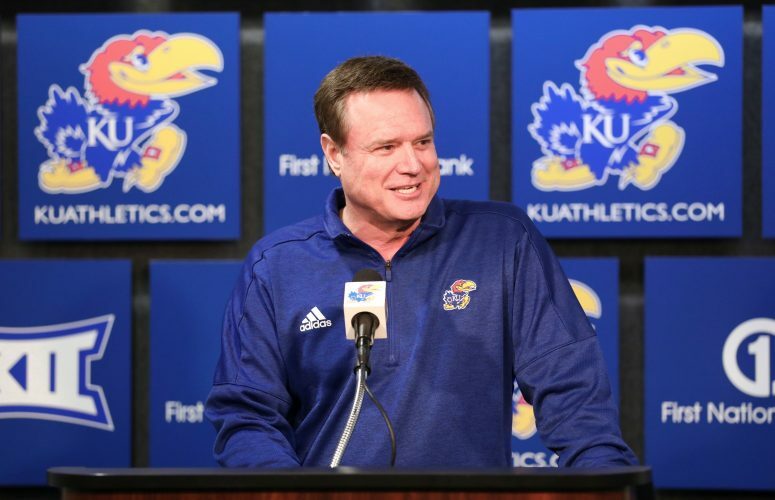 KU’s break from competition this past week, Wise said ahead of it, came at a “perfect” time. At the midway point of the season, KU (2-4 overall, 0-3 Big 12) obviously must continue improving defensively, Wise said. “That was one of our better games defensively, but we still have a lot of room to grow. Going into the bye week we’re going to take this momentum, learn from our mistakes and get ready for the next game,” he added. Kansas plays at Texas Tech (4-2, 2-1) on Saturday at 2:30 p.m. (FOX Sports 1).